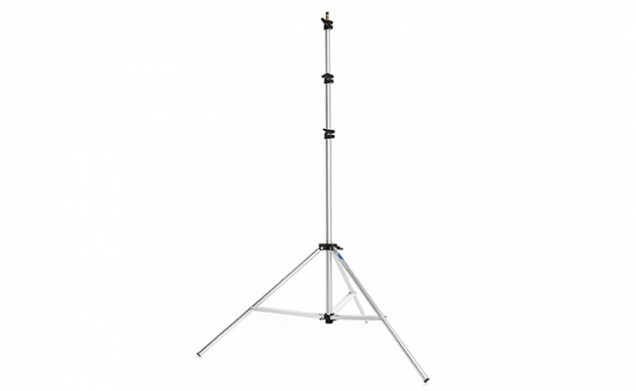 Lightweight yet stable and durable, our 10’ Aluminum Air Cushioned Light Stand offers wide flexibility on lighting height from as low as 33” to as high as 10'. Three sections, 5/8” top stud with 1/4” – 20 thread. Weight 2.9 lbs.